“Everyone here speaks Cakchiquel. Before, when the Scriptures were read in Spanish, there were many words we did not understand. When the Audio Bible came, it was like a miracle. The meaning was clear and we understood everything. It was also like a video, because we could see the things in our minds. When we listened, there were places we had to stop the recording and talk about what Jesus said. One example is in Matthew, when He talked about adultery. Adultery was a big problem in our village and accepted as proper. But when Jesus said it was wrong, it had to be discussed. We are no longer doing this. "Since He is a God of power, I felt that I could be a person of power." “I don’t speak Spanish. Because our worship services were in Spanish, I never understood anything in church. I thought Jesus couldn’t understand my language, Cakchiquel, since we did not pray or sing in Cakchiquel. 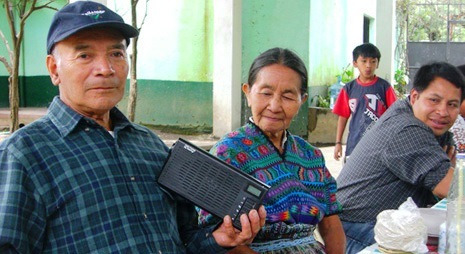 After the Audio Bible came and I heard Scripture in Cakchiquel, I understood it perfectly and learned how to live. Now, we pray and sing in our own language and this gives me great joy. 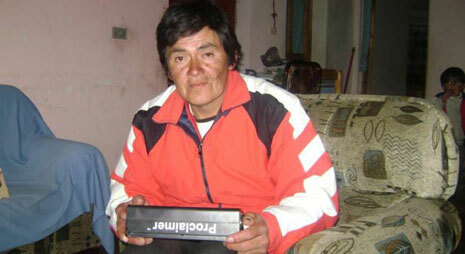 ​“When I heard the Cakchiquel New Testament, it spoke directly to my heart. I was filled with joy and felt that this Jesus was my Lord. I was amazed by the miracles Jesus performed. I rejoiced with the blind man when he was healed and could feel his joy. Jesus’ use of power motivated me. Since He is a God of power, I felt that I could be a person of power. 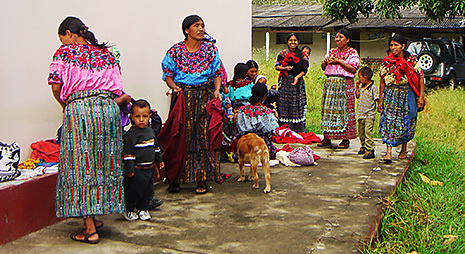 One pastor in Guatemala shared about his wife’s serious illness. In desperation, they'd spent all their money on doctors and couldn't get her healed. “But when we got the Cakchiquel Bible we put it in the church and began to listen. When my wife heard Jesus Christ speak Cakchiquel and heard about the paralytic that was healed she . . ."
"What would happen if you took a group of homeless, drug-addicted street kids and believed in them? Four years ago I did just that. 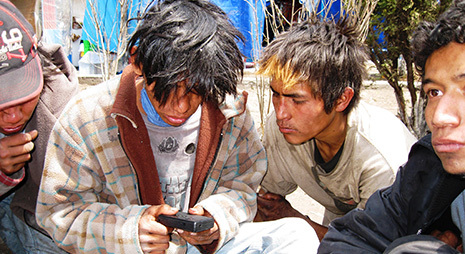 I adopted a community of 17 kids living on the streets of Mexico City; all were addicted to inhalants. Unfortunately, 3 of the original 17 have died. But for the rest, the future is promising. I'm not declaring total victory, because it’s common for . . ."
José‘s family had the opportunity to see the JESUS film on DVD in their own home. As a follow-up to the film, José began listening to God’s Word on the Proclaimer. This has allowed him to be discipled and, as a good father, he made sure his family joined in on the listening so they, too, could be discipled. José shares his experience with the Proclaimer: “No one in my family wanted to know anything about Jesus because . . ."